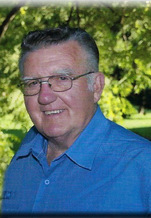 Bob passed away in the Perth hospital on Sunday, January 27th, 2019 at the age of 87 years. 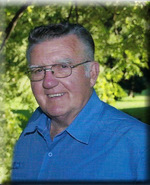 He was the beloved husband of Elizabeth (Lally) Pierman and cherished father of Fred (Sylvia), Don (Kelly), Gary (Carolyn), Kevin (Kelli), Robert (Angela) and cherished grandfather of Jennifer, Amy, Sarah, Leslie, Bailey, Allison, Kayla, Mitchell, Elizabeth, Aidan, Nic and seven great grandchildren. Bob was brother-in-law of Gerald Lally (Mona) and the late Cliff and Ray Lally, Lucille McParlan, Orville Lally, Virginia Hodgins, Leo, Earl, Bert Lally and their spouses. He will be sadly missed by all his extended family and friends. Friends may pay their respects at the Blair & Son Funeral Home, 15 Gore St. West, Perth on Wednesday, January 30th, 2019 from 2:00 to 5:00 and 6:00 to 8:00 P.M. Mass of Christian Burial will be held in St. Bridgets Church, Stanleyville on Thursday at 10:00 A.M. Interment St. Bridgets Cemetery. In remembrance of Bob, contributions to Childrens Hospital Of Eastern Ontario (CHEO) or the Ottawa Heart Institute would be appreciated.